Osteopathic medicine is based on the premise that the body is largely designed to heal itself. For their specialisation, osteopathic doctors are required to attend additional training hours about the musculoskeletal system, related to the body as a whole and not as individual parts. To treat patients, these doctors combine the rigours of modern medicine with specialised knowledge of the body’s natural healing processes. ● Developed this treatment method after witnessing the travesty of treatment to soldiers during the war. ● Wanted to teach other health care practitioners how to treat the body to heal itself. While this began in the US, soon it spread to other countries including Australia. One of the earliest cities to have DOs was Melbourne. ● If motion is smooth or restrictive. 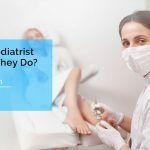 Most of their techniques may be similar to chiropractors, but they are not that type of doctors. While chiropractors’ legitimacy is still questioned by the mainstream medical community, DOs manipulative technique is recognised as real medical treatment by medical and scientific communities. ● Legitimate with similar education and board testing as MDs. ● DOs in Melbourne will deliver quality, competent and medically recognized treatment. ● In the U.K. the NICE (National Institute for Health and Care Excellence) says this form of treatment is recommended, especially for lower back pain. Some dispute there is enough evidence to conclude it’s effective for other illnesses. Some do not even recognize this medical treatment as legitimate. ● Has a few peer reviews. Double blind testing is today’s standardized method for pills and surgery’s proof of efficacy. Several controlled trials yielded very successful results from this form of treatment. But in traditional double blind testing there simply is no way to produce this proof. They are also trained and competent about the cardiovascular system, nervous and respiratory systems. They have other university degrees that complement their knowledge in this medical profession. Recognised as equally legitimate to other forms of medical treatment, manipulative treatment is covered by the Australian public health care system. Osteopathy has been practiced in Australia for over a century, thus be confident of this quality, modern, medical treatment for its results. This entry was posted in Tips Physiotherapy & Osteopathy Melbourne on March 4, 2015 by MHEALTH.